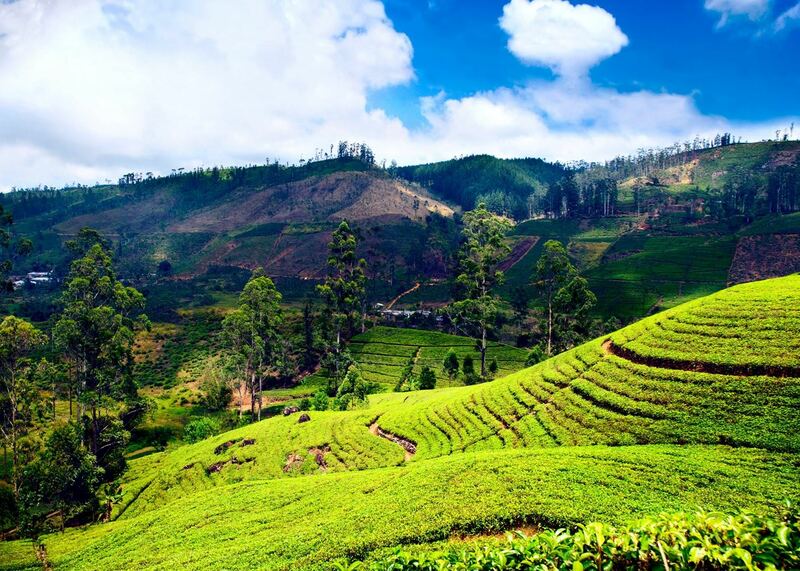 Spend a few days hiking and biking round Sri Lanka’s countryside, visiting tea factories and exploring Kandy’s temples before flying to the paradise island setting of the Maldives for a week. 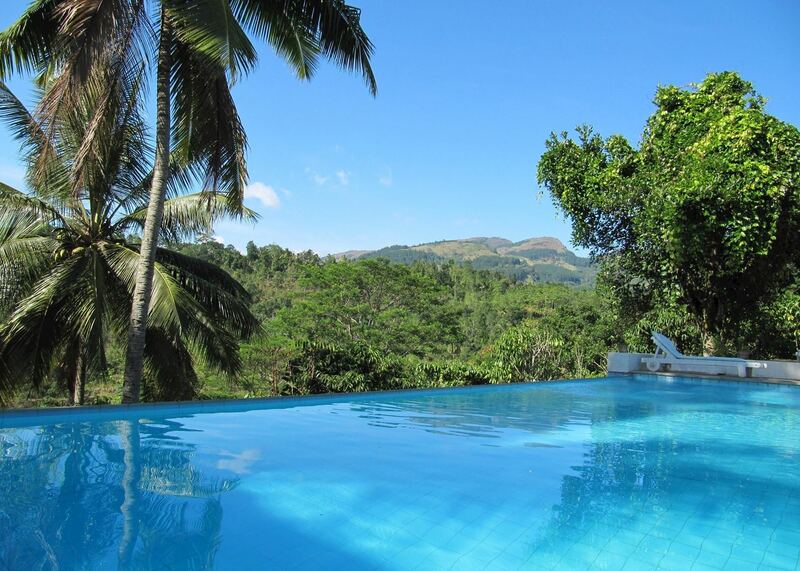 3 nights Kandy, including breakfast and excursions; 7 nights Baros, including breakfast. Includes flights and transfers. 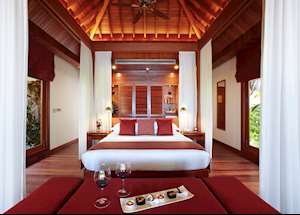 Sleek and sophisticated yet wonderfully characterful, Baros was one of the first resorts in the Maldives and remains one of the finest. Its high standard of service and incredible value for money really set it apart. 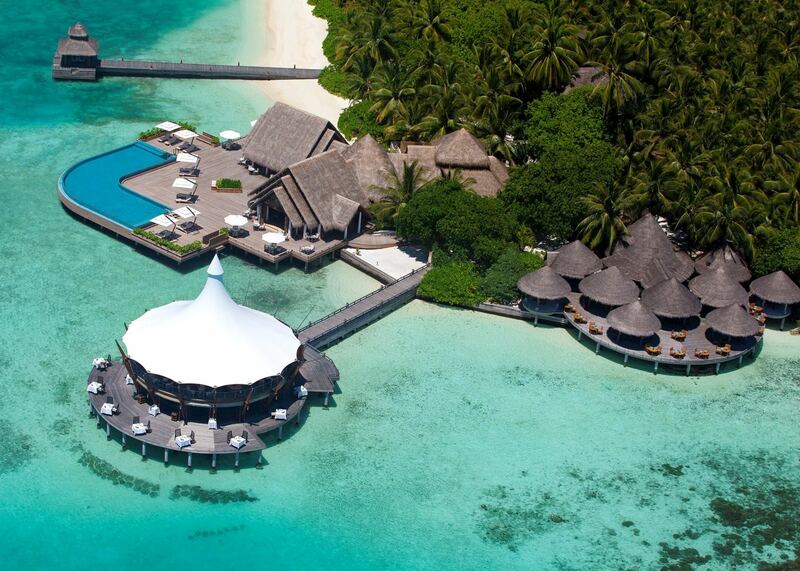 Baros has a contemporary, elegantly restrained design and the wonderful location on a pristine beach is further enhanced by an over-water restaurant and stilted villas. 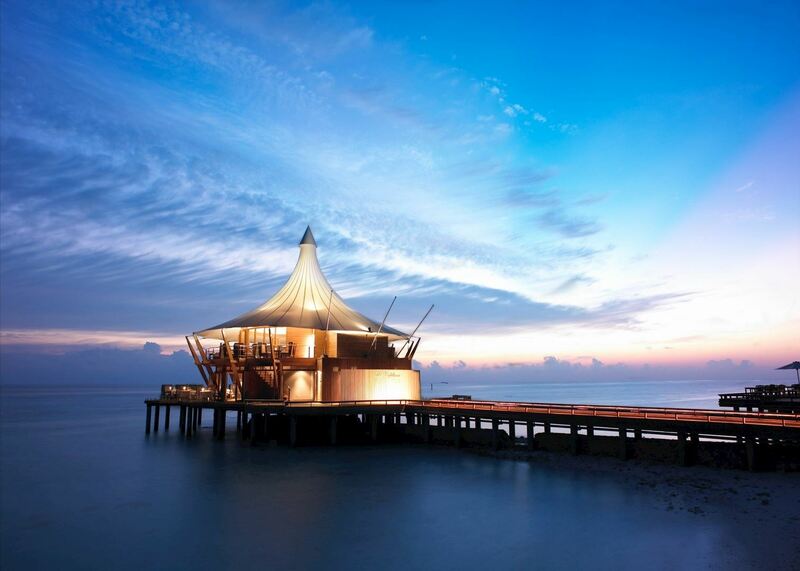 The iconic Lighthouse Restaurant with its sail-like pinnacle roof has long been regarded as one of the best in the Maldives with an extensive wine cellar to complement the diverse menu. 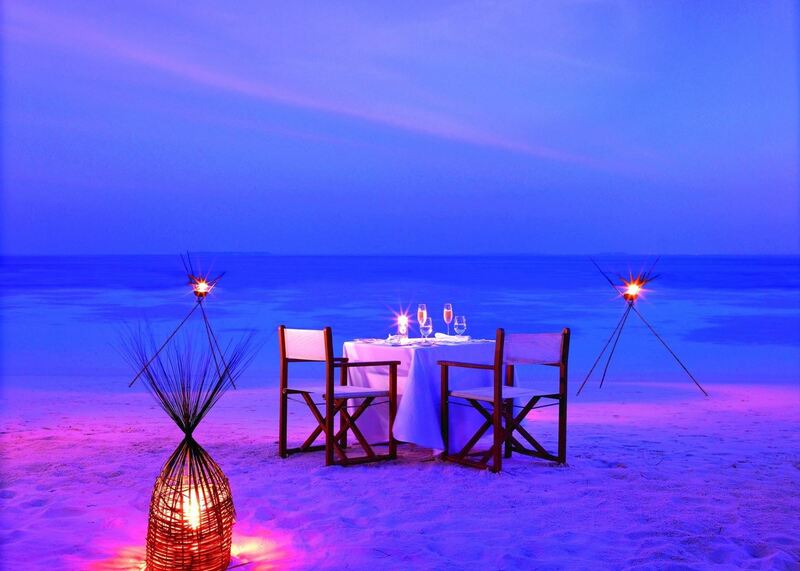 Known for its extravagant dining experiences, there are two other restaurants as well as the option to dine anywhere on the island that you choose. 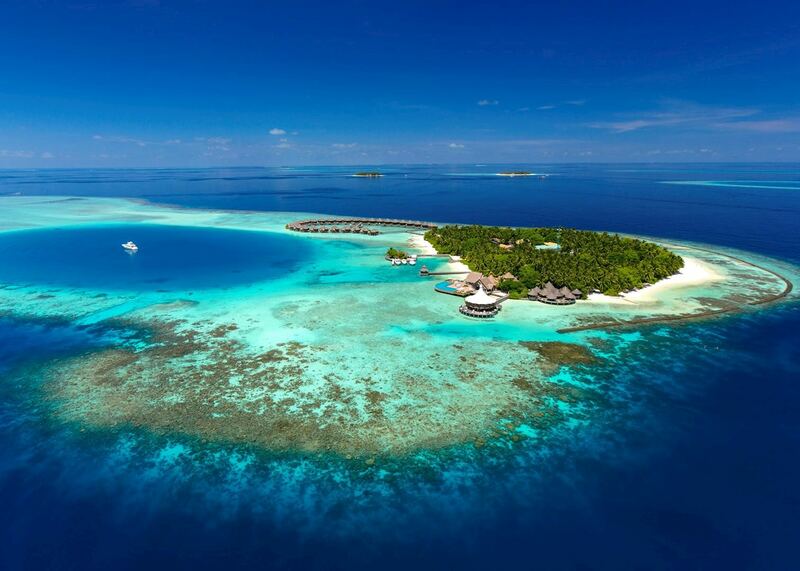 Experience breakfast on a sandbar, enjoy dinner on board a luxury dhoni or soak up the views with drinks on a platform surrounded by turquoise seas. While here you can also snorkel or dive along the reef, help with coral conservation, go fishing or just relax in the spa. Deluxe Villas are located on the beach and feature free-standing baths overlooking a veranda with walled gardens and outside showers. 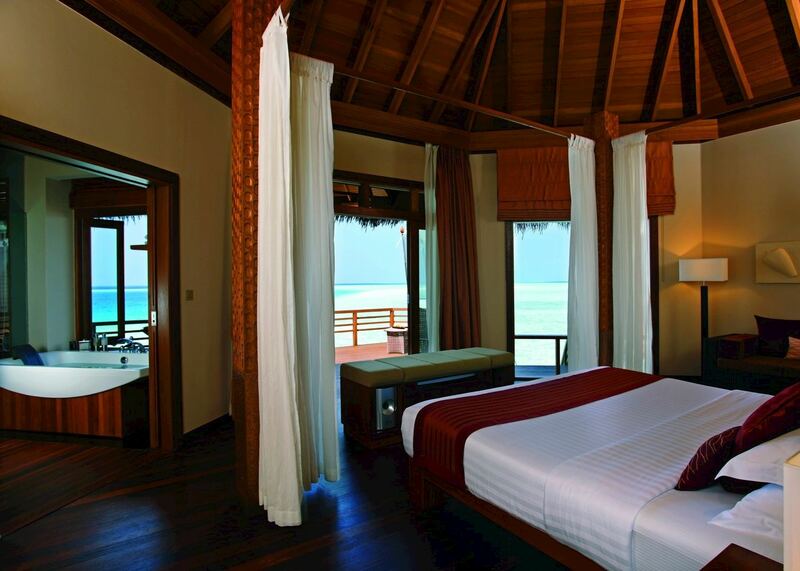 The larger Baros Villas boast four-poster beds, while the stilted Water Villas offer mesmerising views of the deep-blue lagoon. 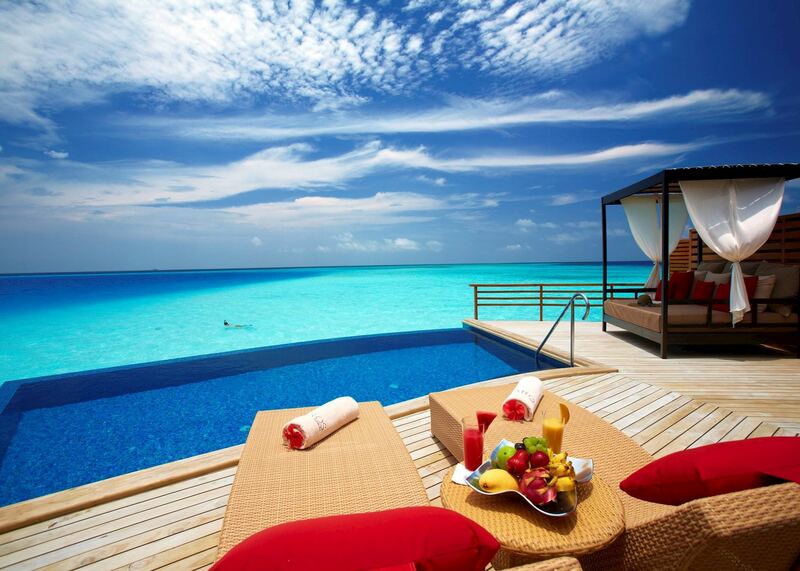 of our Maldives clients would recommend us to a friend. Sri Lanka's second largest city is surrounded by rolling hills, tea plantations, spice gardens and small villages, all virtually untouched by tourism and incredibly scenic. This tranquil region is ideal for exploring on foot or by bike. Visit the Orange Field Tea Factory in the company of its amiable owner who passionately explains about tea growing and processing, visit Kandy's renowned Royal Botanical Gardens with their impressive collection of exotic trees, orchids and spices, or discover the ornate Temple of the Tooth, which protects Kandy's most sacred relic. 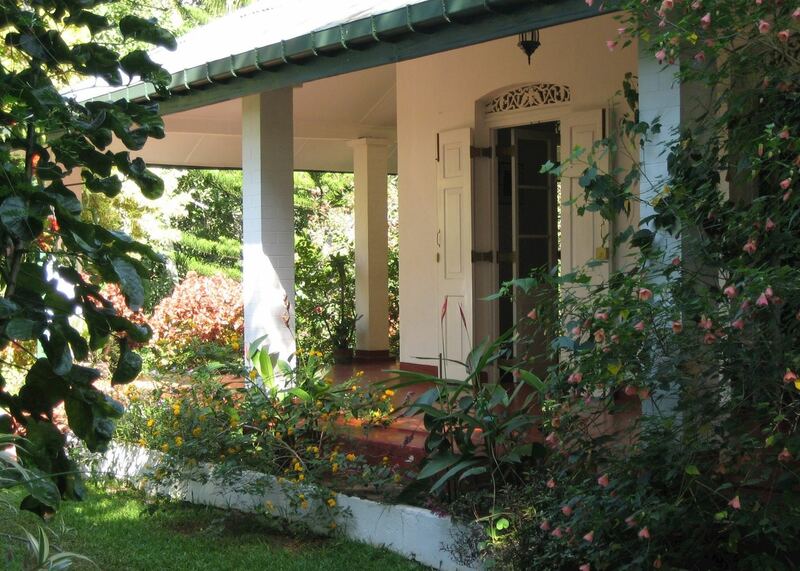 Set in the countryside 45 minutes' drive from Kandy, the Ellerton is a small hotel with a charming colonial air. The rural setting is perfect for walking and biking and with just eight rooms and spectacular views, it offers peace and tranquillity in a superb setting. 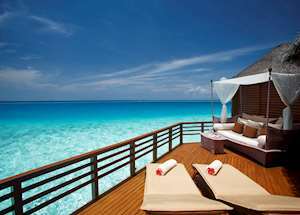 One of the first resorts to open in the Maldives, Baros now stands out as one of the best when it comes to quality, service and luxury, offering a real five star Maldives experience. 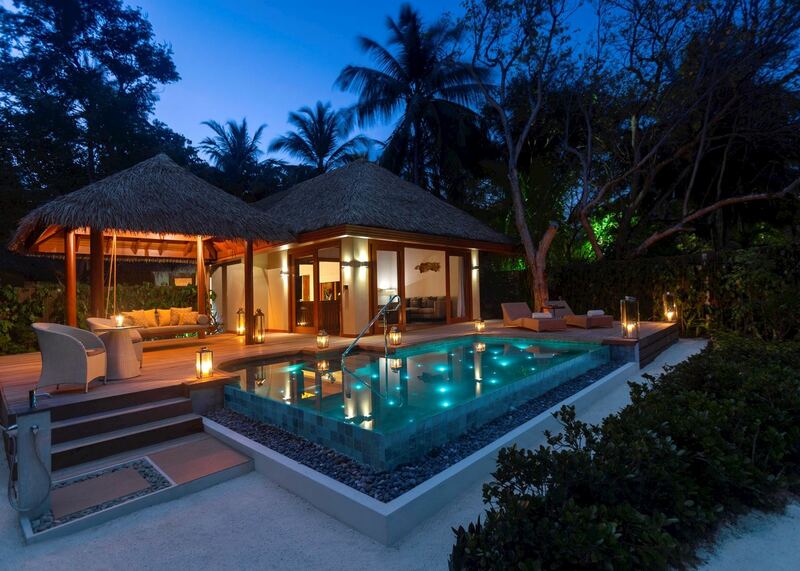 The style is pristine tropical luxe - there is not a palm frond out of place on the huts and villas, and the manicured grounds and gardens positively gleam. The staff are very friendly and welcoming, and will interact with you as much or little as you want. With 75 villas, the resort is certainly not over-large for the Maldives, but rather it has just enough rooms to give it a critical mass of energy, and there are people to meet should you want. Water activities are the main draw, and there is a great spa as well, although if you just want to laze around the beach nobody will mind. Children below eight are not allowed at the resort. 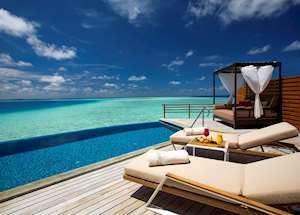 The balustrades on the decks of the water villa and water pool villa are of a ladder-type design that may present a hazard to children under 12. 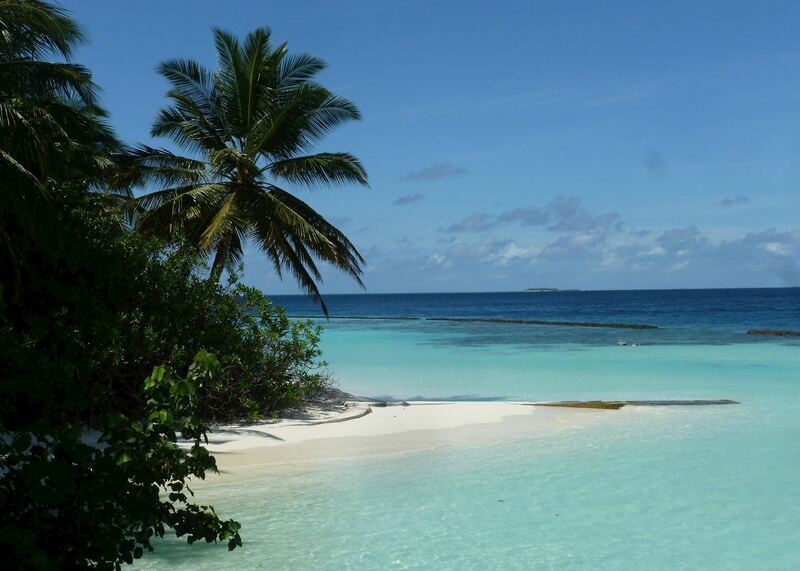 Baros is a small island in the north Malé Atoll, just 25 minutes by speedboat from Malé International Airport. 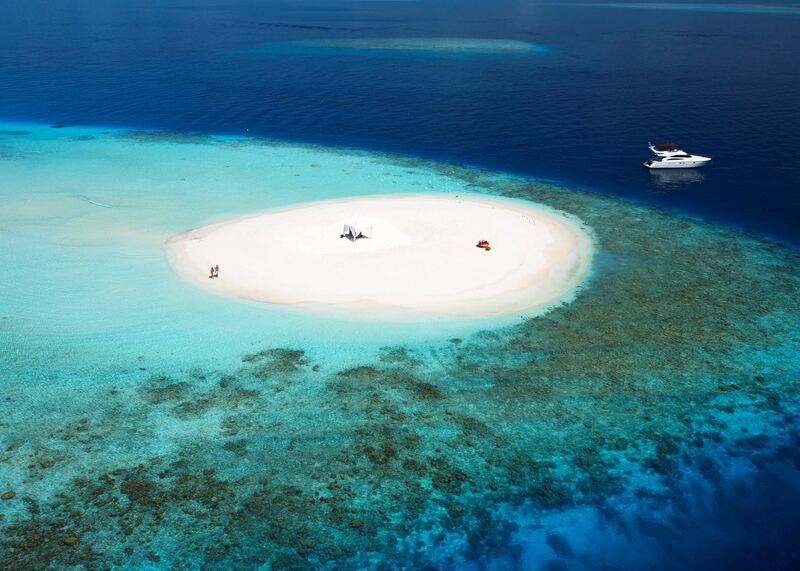 The island is surrounded by a house reef swarming with exotic fish. On the north, east and south sides, the reef is protected from the open sea by a barrier, while the west side is bordered by the lagoon. 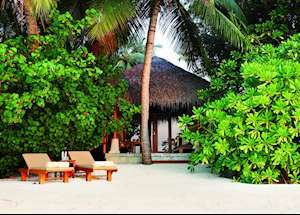 Baros was one of the original Maldives resorts, and it has plenty of character. On top of that, the service, and standard of all of the facilities, is excellent, making this a luxurious, friendly and great-value choice. 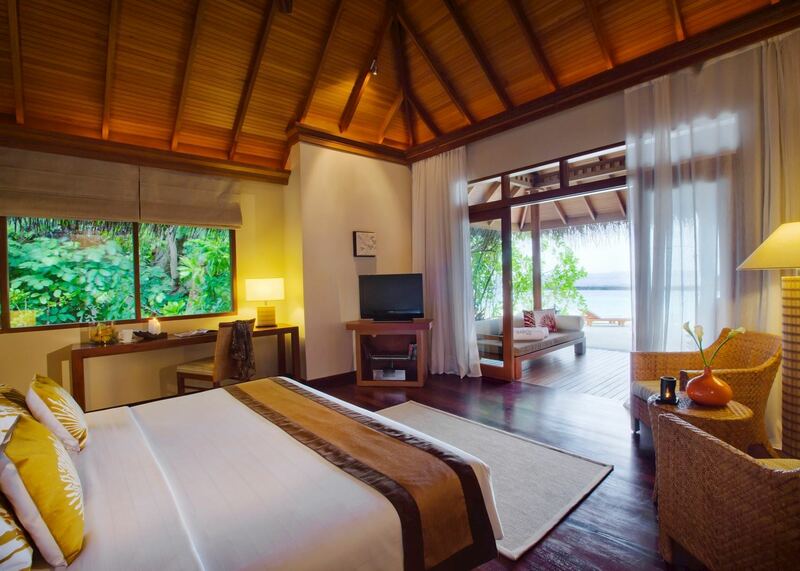 With just 75 villas, Baros is one of the more intimate resorts in the north Malé Atoll. 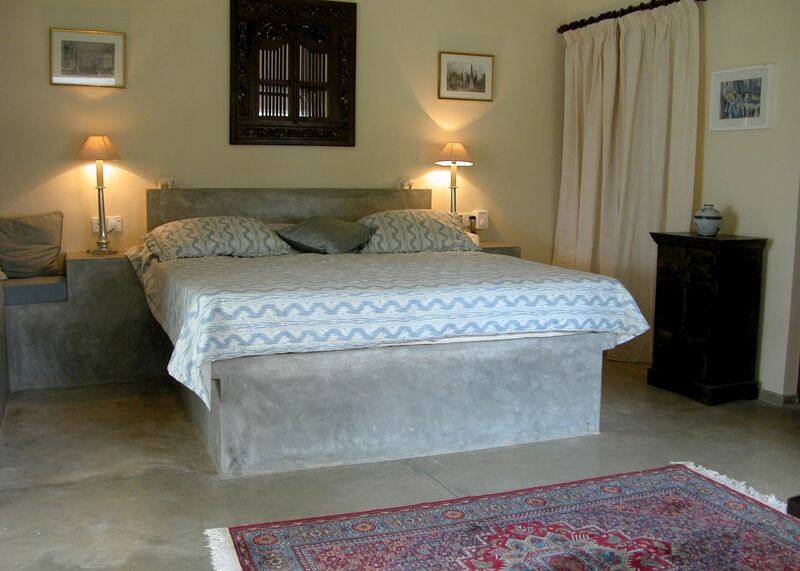 All room types have air-conditioning, free Wi-Fi, minibar, satellite TV, stereo/DVD player and tea/coffee-making facilities. The 89m2 Deluxe villas are located on the beach. Each spacious, teak-floored bedroom features a large sofa and a king size bed. 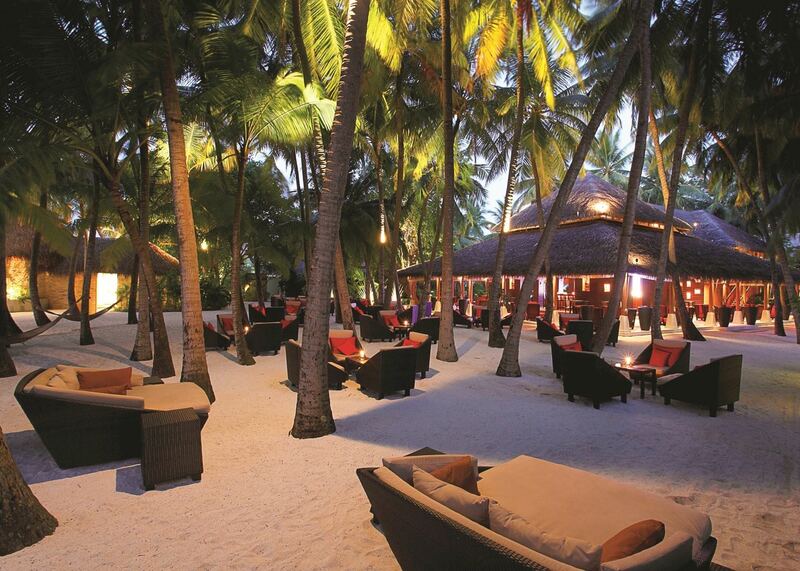 The veranda is the perfect spot for lounging, dining or gazing at the lagoon with a cool drink. The bathroom has a stand alone bath and extends into a walled garden with an outside shower. 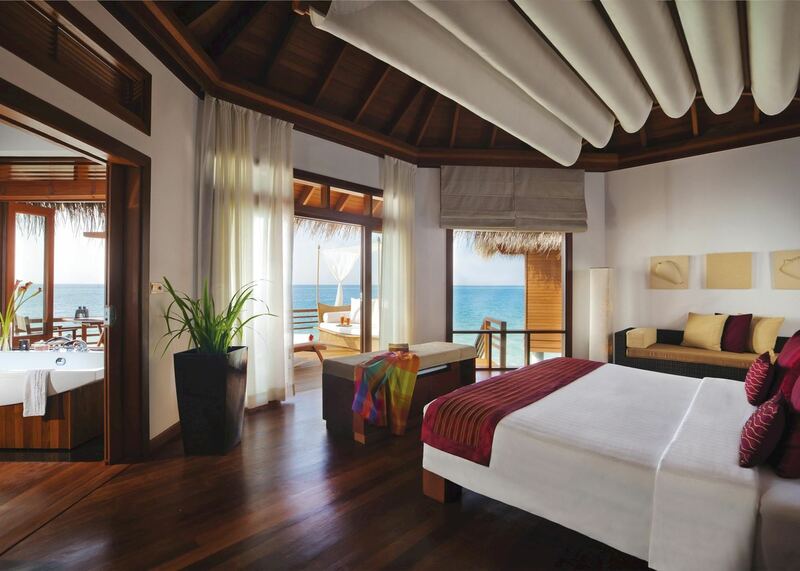 The 103m2 Baros Villas have four poster beds and a day bed on a spacious, private sun deck. 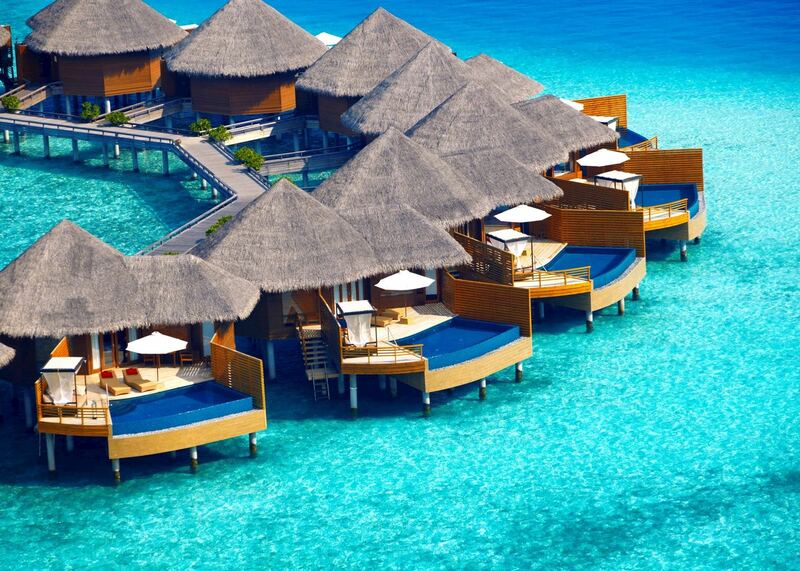 Water villas, set on stilts over the lagoon, offer beautiful, panoramic ocean views. Pool water villas have their own private pool on the timber deck, while still being on stilts over the lagoon, giving you the choice of swimming in the sea or pool. Sometimes choices in life can be hard. 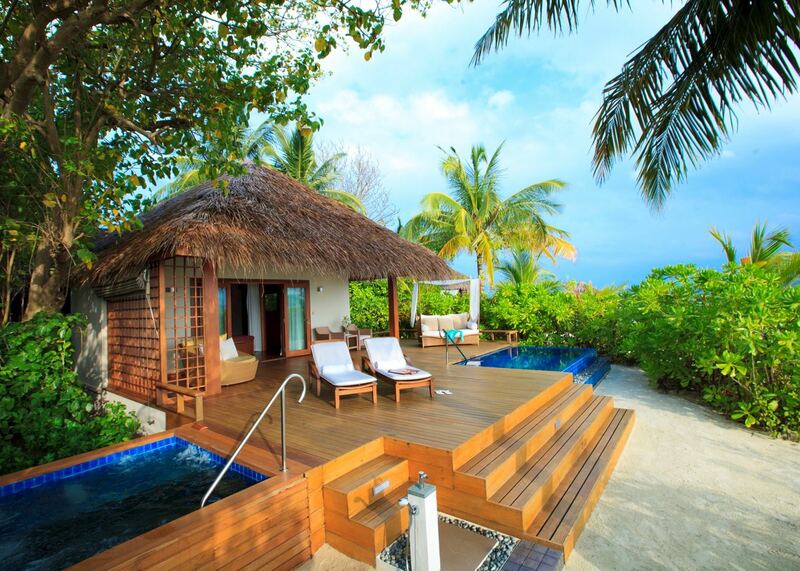 Baros Pool Villas are on the beach and have their own private pool. Baros Premium Pool Villas are on the beach and have their own private pool plus a private Jacuzzi. 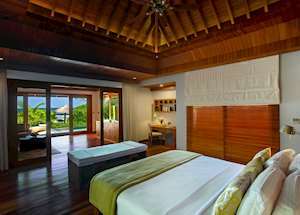 The Baros Residence is a 268m2 villa with all you could want to relax in comfort. 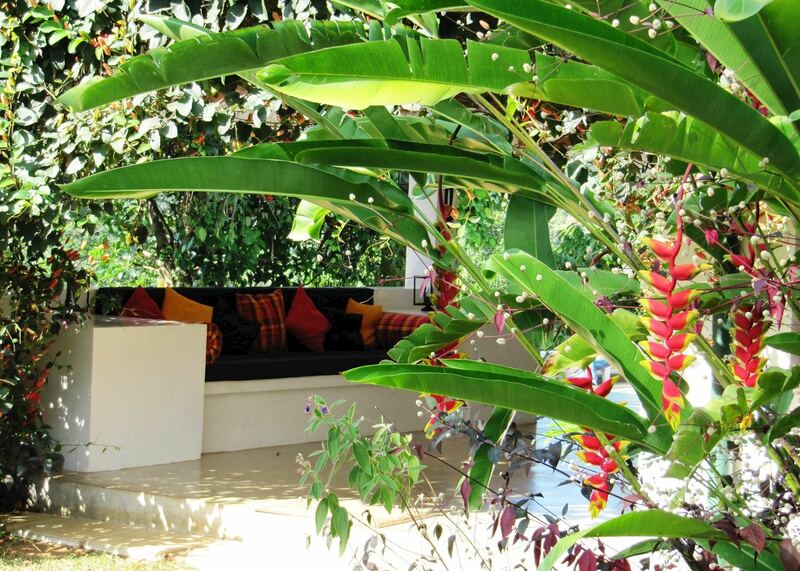 It has a large private pool set in a walled tropical garden, a deck with loungers and day bed, bean bags for the beach, iPod dock and Bose stereo and a library stocked with DVDs, CDs and books. 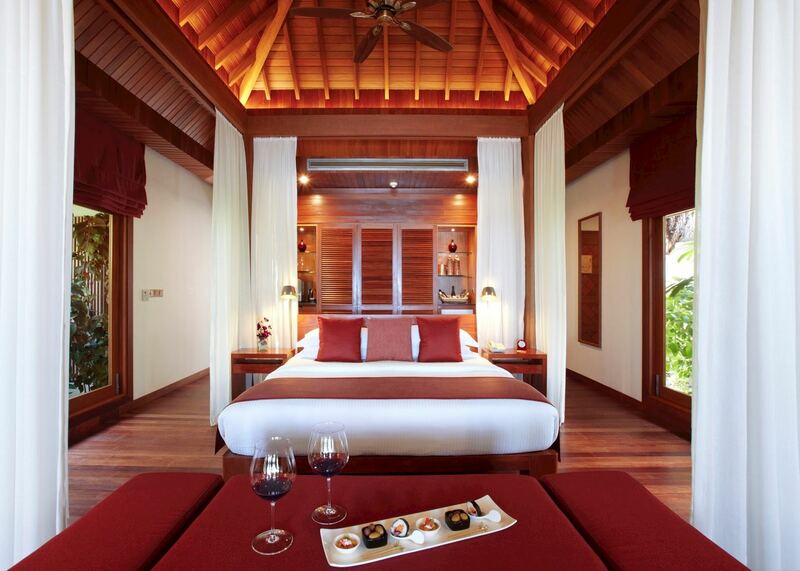 A personal butler is also on hand to take care of all of the finer details for you. Explore the house reef either alone or on a tour with one of the marine biologists who will help you identify the fish you see. Coral Garden workshops are also available to help guests learn more about the coral regeneration process and play a part themselves in conserving the reef. On land there is fitness centre, table tennis and a yoga master to advise on yoga and meditation techniques and offer complimentary yoga classes most days. 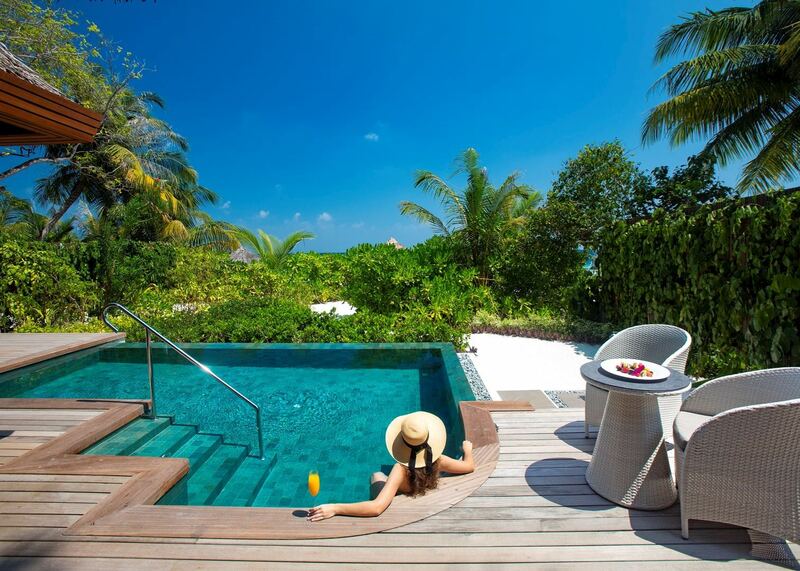 Alternatively, you can take it easy by the overwater infinity pool, at the pristine beach or in the spa. There is a PADI dive centre offering diving for every level, from beginner to professional. The dive centre arranges PADI-certification courses and, twice a day, offers the chance to visit a selection of over 30 dive locations. All are reachable within 50 minutes. 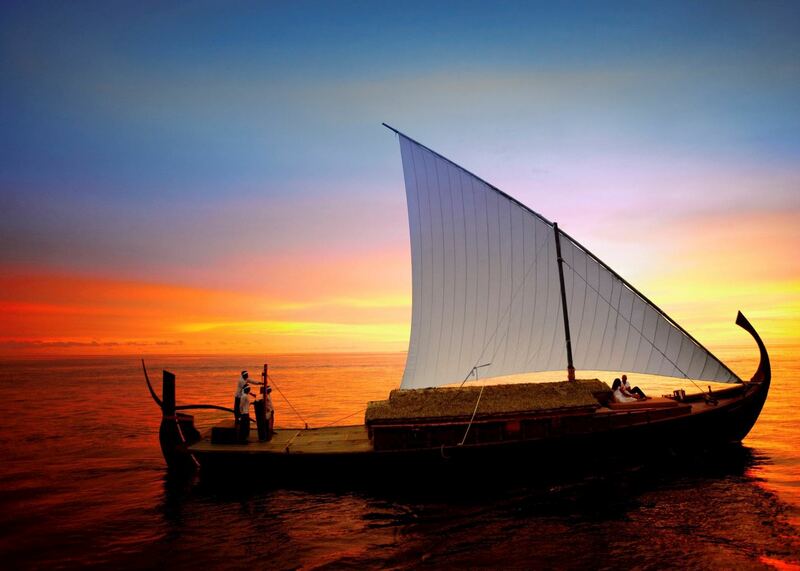 From its location in the centre of the atoll, Baros has access to all the classic north Malé Atoll sites. 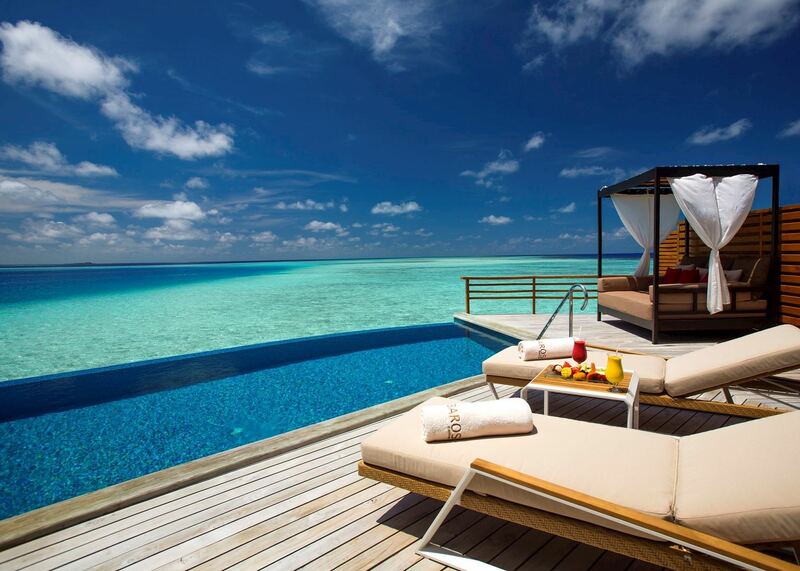 It also has exclusive dive spots, only for those diving with the resort. There is a good chance of seeing manta rays year round, as well as countless other marine species. 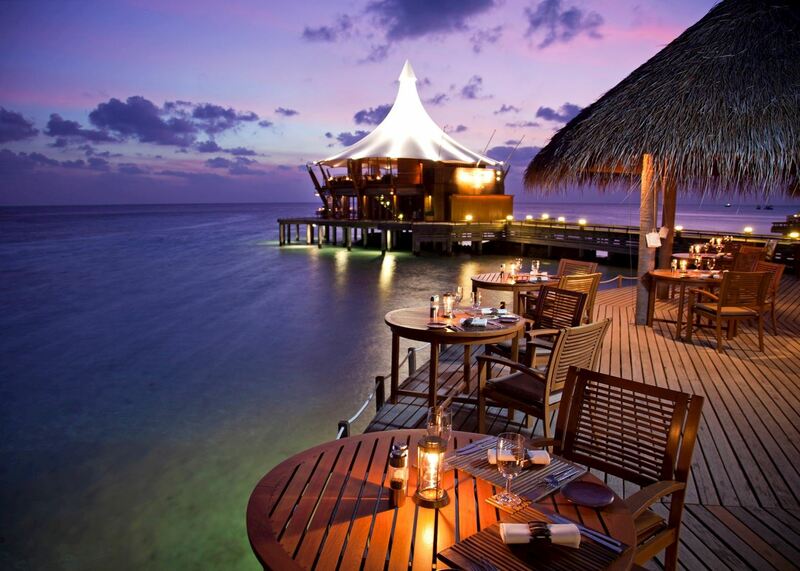 Dining at Baros is a real treat, with a wide choice from casual to fine dining. Lime is an open-air pavilion on the edge of the lagoon that offers casual all-day dining, often with an Asian influence, but also encompassing hearty European dishes such as wiener schnitzel. 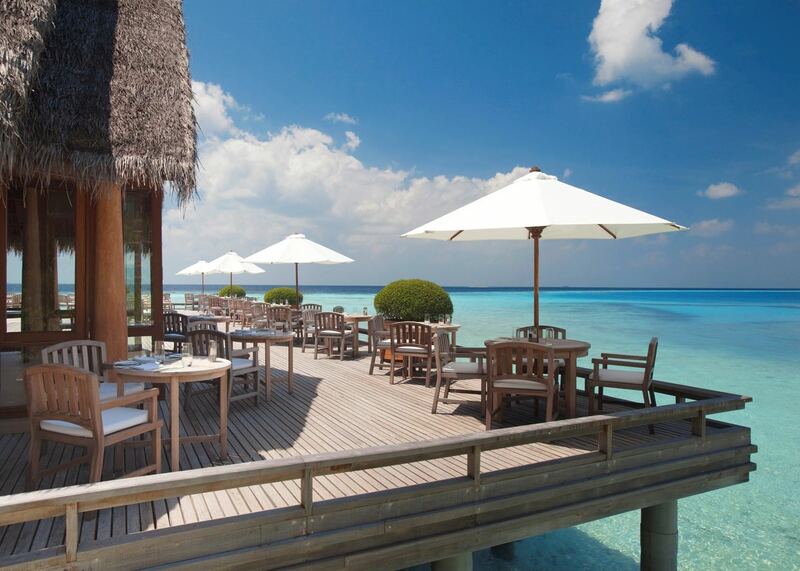 The Cayenne Grill sits over the water, and serves fabulous fresh grilled seafood, meat and vegetarian dishes, with a satay bar open during the day. 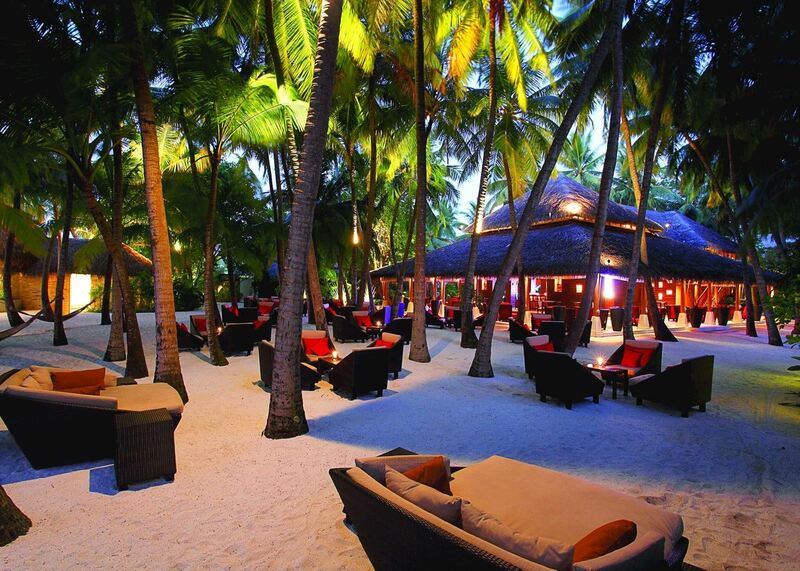 Sails Bar is in the middle of the island, and is shaded by coconut palms. The easy chairs and hammocks are ideal for lounging on, and the bar is open for juices, cold beers and wine throughout the day. 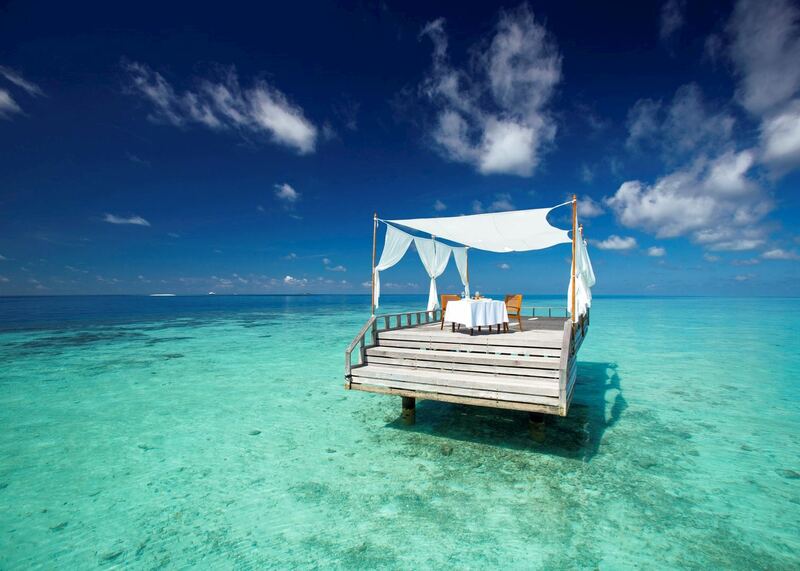 The Lighthouse is a highlight of a stay at Baros; this overwater restaurant is renowned as one of the best in the Maldives. It has an extensive wine cellar, and serves modern Asian and Mediterranean cuisine. Upstairs from the restaurant, the Lighthouse Lounge is the perfect spot to enjoy a drink while listening to live jazz, and watching baby sharks and rays cruise the lagoon. Baros has a boutique spa, using products from Pevonia, Switzerland. 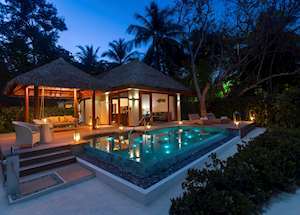 Treatments include the Baros Signature Massage, which blends techniques from Swedish, Thai, pressure point and hot stone massage, and the Signature Scrub which uses sand from the beach and local coconut oil, mixed with Pevonia products to revitalise your skin. 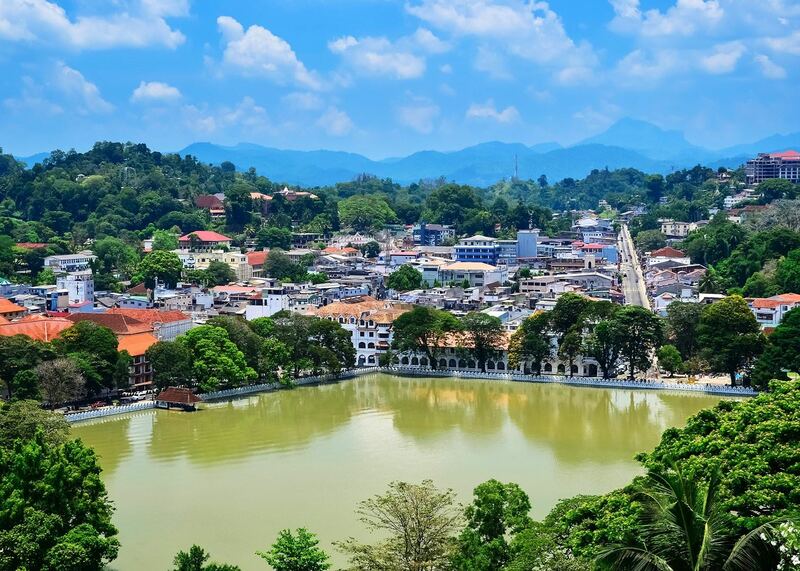 Stronghold of the Sinhala Kings and capital of Sri Lanka’s hill regions, Kandy is perhaps the most beautiful and romantic city in the island. 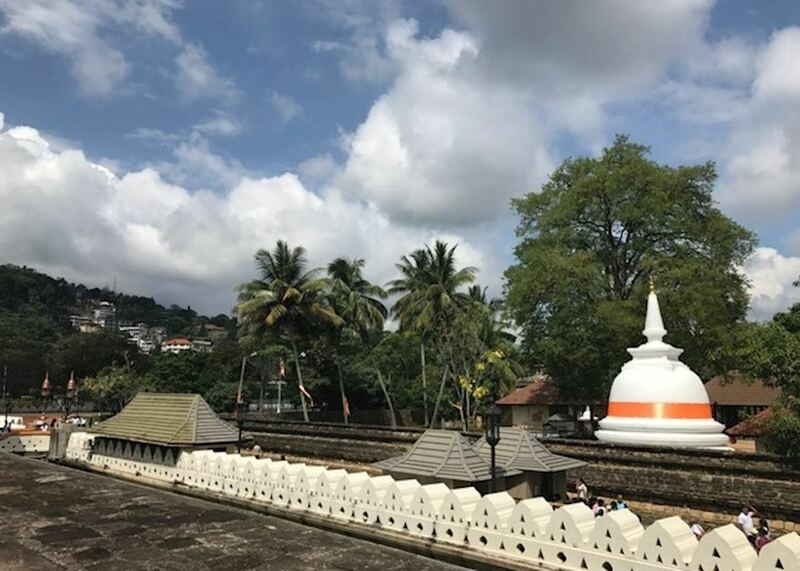 Surrounded by green hills and with a large lake in the town centre, Kandy combines the sophistication of a modern city with the timeless appeal of ancient temples. 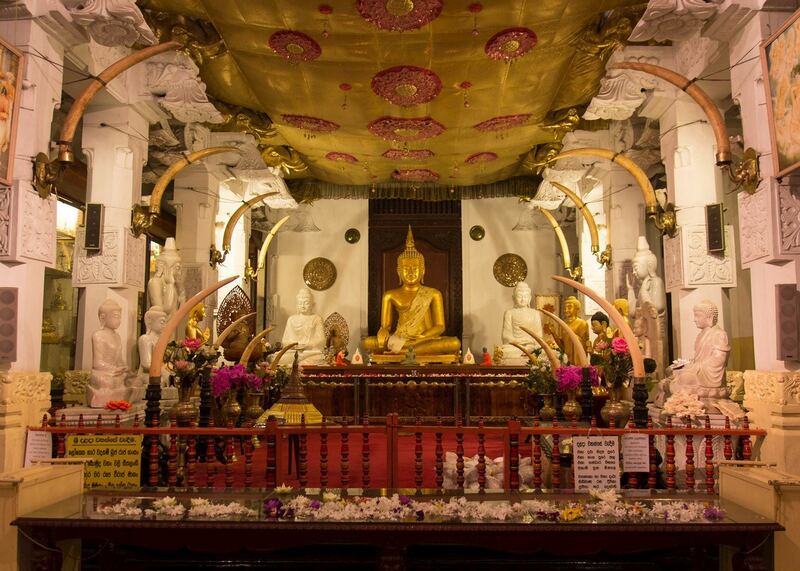 The most famous is the gold-roofed Temple of the Tooth, where a simple wooden structure contrasts with the lavish golden roof and exuberant Buddha statues. The temple houses the tooth of the Buddha and bustles at night with pilgrims attending a lively ceremony involving several drummers. Sri Lanka has a majority Buddhist population and their main festival, the Esala Perahera, is a ten-day pageant that transforms Kandy during July or August. Timed in accordance with the lunar calendar, it is a wonderful spectacle with dozens of robed elephants, dancers and musicians thronging the streets. The dates are announced about a year in advance. 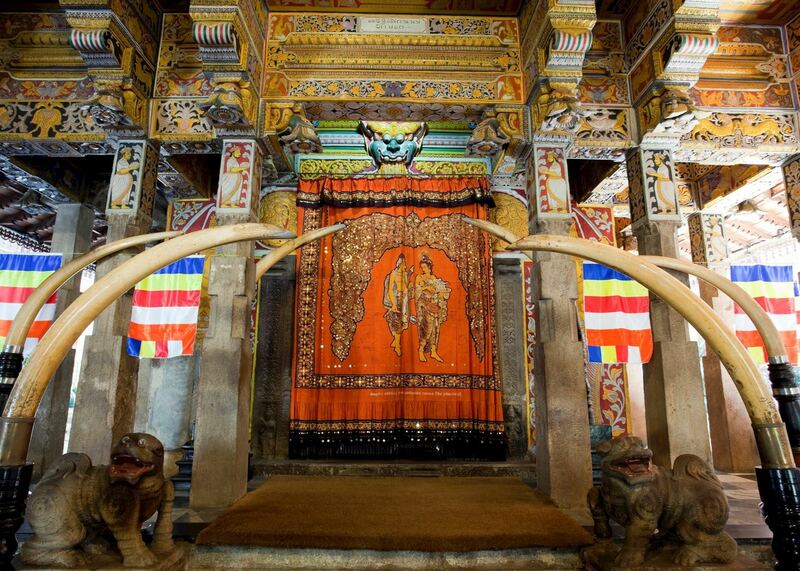 In festival times, a stay in Kandy is an assault on the senses. 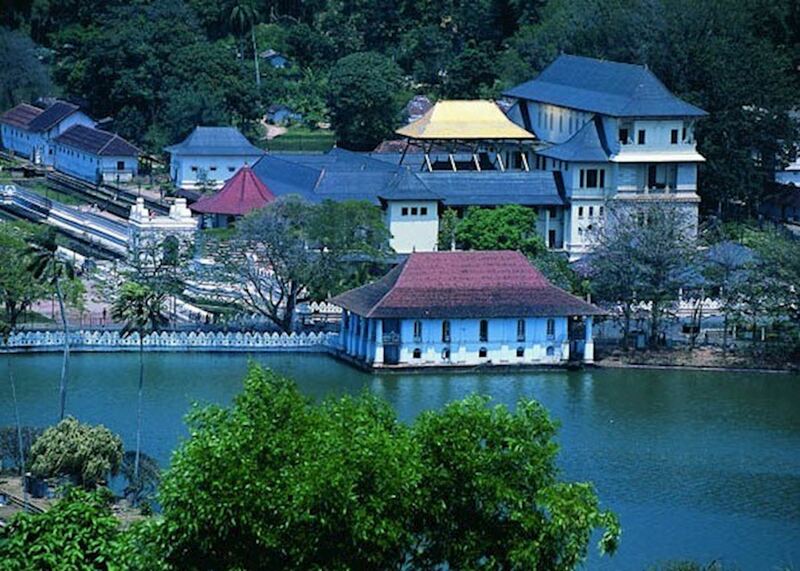 Outside Kandy, there are two particularly fascinating places to visit. The nearby botanical gardens are renowned worldwide, bringing together countless species from every part of the island. As night falls, cultural shows take place in a number of venues around Kandy. 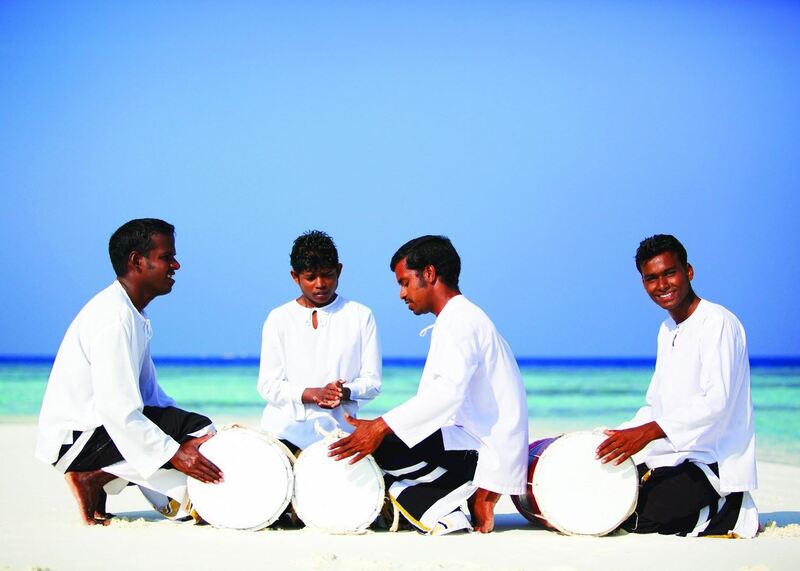 Offering a snapshot of music and dance on the island, they may conclude with a dramatic fire walking demonstration. Kandy is also a good place to shop, with gems and jewellery especially good value. Two or three days here are needed to explore the many facets of this holy town and the beauties of the surrounding area. 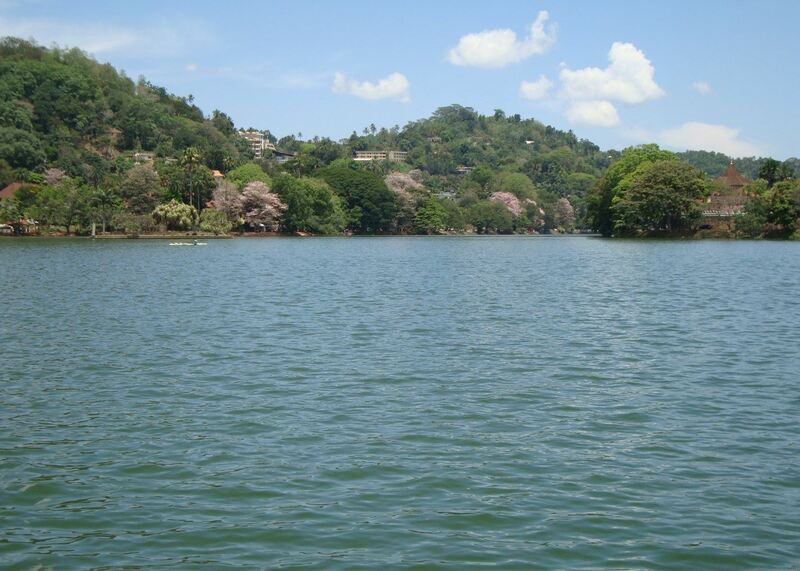 Centrally located, Kandy is easily accessed from Colombo, the Cultural Triangle and Nuwara Eliya. If travelling on, a scenic train journey runs from Kandy up to Nuwara Eliya, in the heart of the tea country. 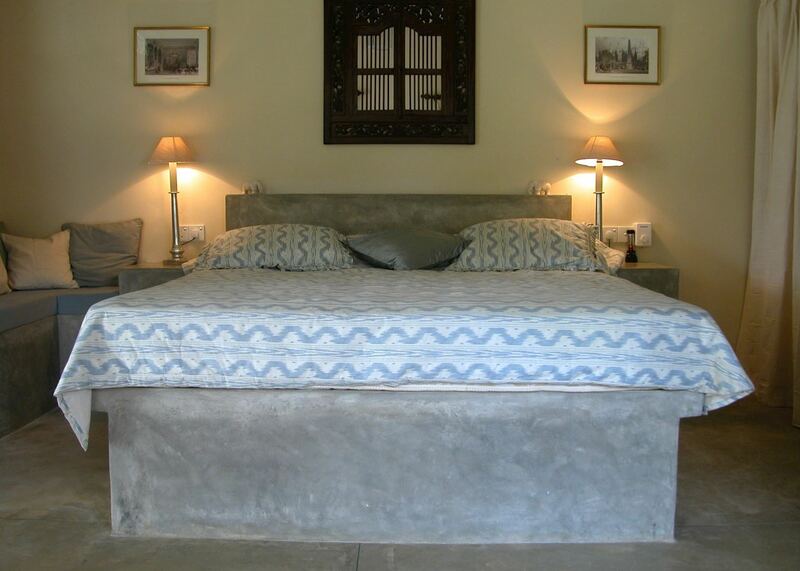 Ellerton is a small simple hotel sitting on its own hilltop in the centre of Sri Lanka. 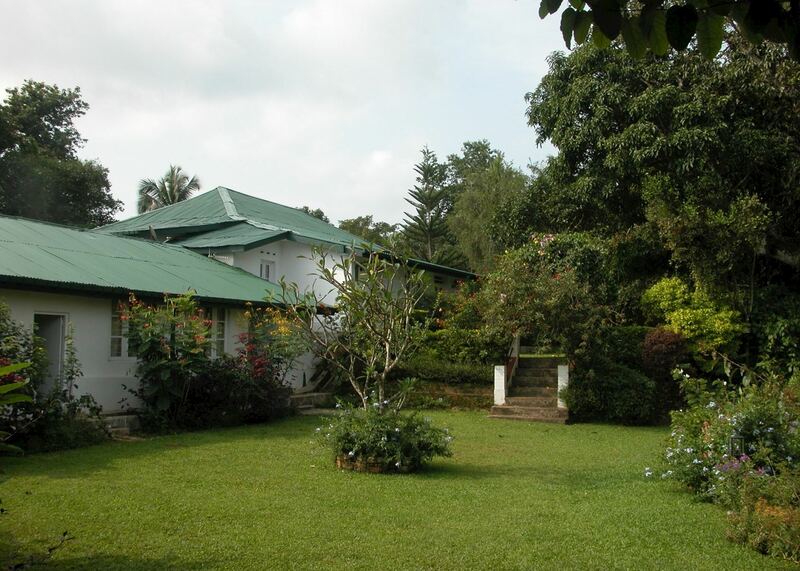 It was built over 100 years ago for the manager of a major tea estate and it preserves the character and tranquillity of the colonial days. 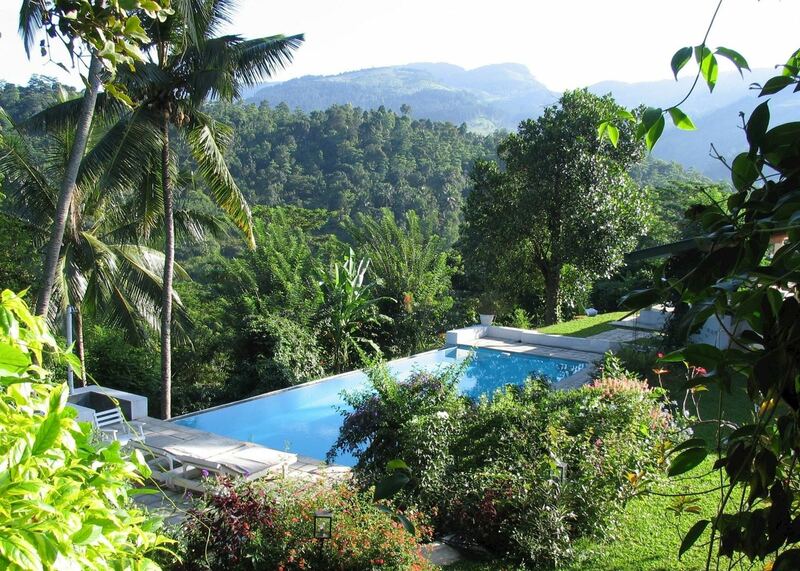 Although rural, with views in all directions, Ellerton is only 15 miles (30-45 minute drive) from the World Heritage city of Kandy, with its renowned botanical gardens and other tourist attractions. The property has eight bedrooms in total, located both in the main house and also in newer blocks in the garden with spectacular views over the valley below. 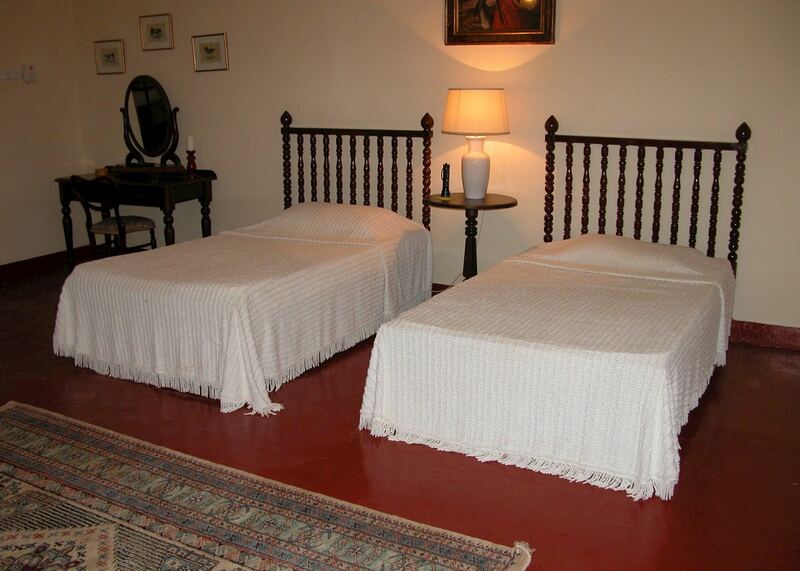 Two of the rooms in the main house also have adjoining rooms perfect for families. Please note that Garden Rooms are not suitable for children. Board your overnight flight to Colombo. On arrival in Colombo you will be met by your drive/guide and transferred to Kandy for your stay at Ellerton, a beautiful boutique hotel. The lovely rural setting of Ellerton is perfect for exploring by bike or on foot and the owners have created walking maps, which offer a great opportunity to explore independently. 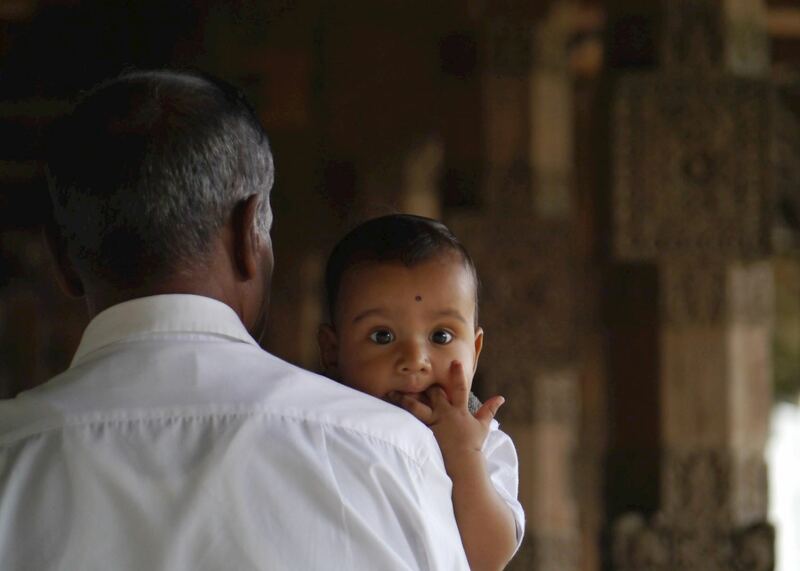 This morning your driver will take you on a tour to the Botanical Gardens and the Temple of the Tooth, Sri Lanka's most important religious site. 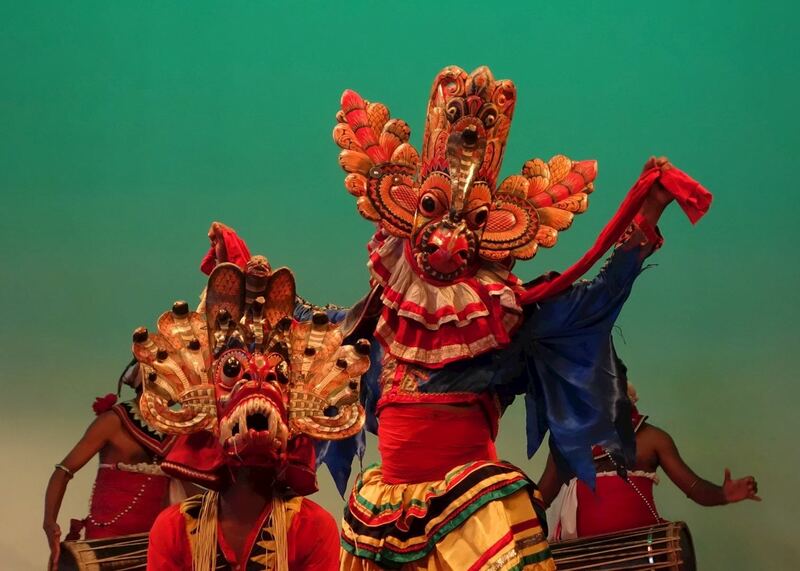 After that, spend some time exploring Kandy or return to the hotel to explore the countryside before an evening performance of traditional Kandyan dance, including fire walking. Today you will visit a local tea factory about 20 minutes from the hotel. The rest of the day you are at leisure to explore. Your driver/guide will take you back to the airport for your flight to Male in the Maldives. 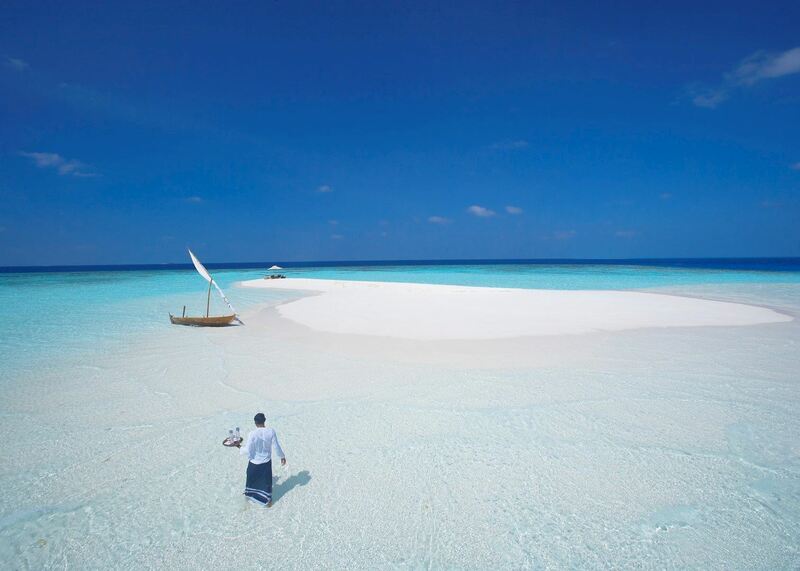 Here you will be met and shown to the speedboat transfer to Baros. 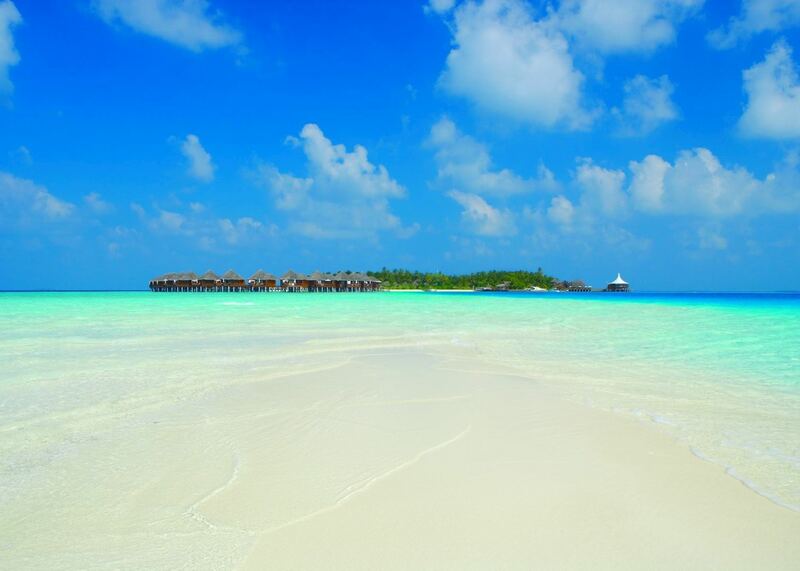 Your first day at leisure enjoying the soft white sand and beautiful waters of the Maldives. 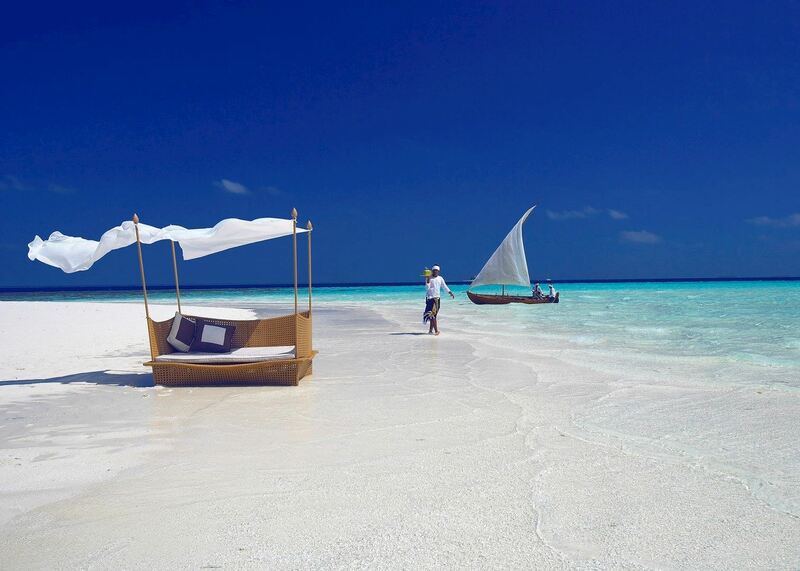 You might like to grab some snorkel equipment and swim out to the sunken dhow at the house reef. 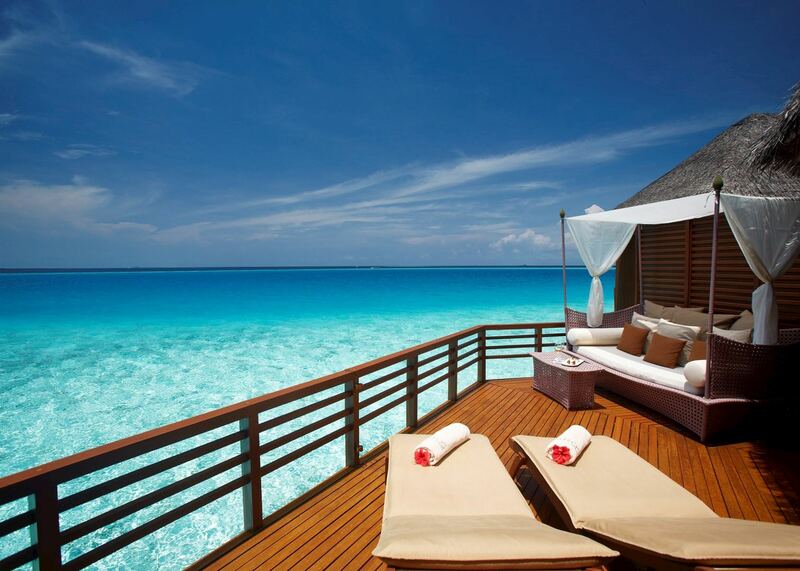 Another relaxing day at the beautiful Baros resort. A sunset cruise is a lovely way to spend the evening. You will be transferred by speedboat back to the airport for your flight home.